Our Beloved Husband, Father, Grandfather and Great-grandfather, Alfredo Barrios Gonzalez, 91 years old, passed away peacefully at his home surrounded by his loving family on Wednesday, April 10, 2019. He rapidly declined after a fall at home, two days after his birthday in February that caused a hematoma to the brain. Alfredo’s parents emigrated from Zacatecas, Mexico fleeing the Mexican Revolution of 1910 to come to this country due to political persecution, seeking religious freedom or getting away from the shackles of poverty and hunger. The family worked up and down the State of California, picking cotton, prunes, garlic, peaches, grapes and walnuts at the Adolfo Camarillo Ranch. When they finally settled in Oxnard, Alfredo was born at home on Hayes Street in the Colonia during the Great Depression. Though they grew up very poor, his parents were able to send a few of the youngest of nine children to Our Lady of Guadalupe School in Oxnard and Santa Clara High School where Alfredo graduated from the class of 1947. In 1951, Alfredo was drafted into the Army and served in the Korean War as a teletype operator, assigned to the 25th Division Army, Signal Corps in Uijongbu, 12 miles north of Seoul, Korea. In 1954, Alfredo married Helen Prado, from Santa Paula and soon after purchased the property in El Rio where dad, with help from his compadres and family members built their forever family home and raised their three daughters. He worked as a postal carrier for the U.S. Postal Service in Oxnard and retired in July 1986. During his years of walking and delivering mail, rain or shine, Dad met many people who became long-time friends. Whenever we were with dad around town, he would many times be stopped and greeted by people he had on his route. During the Christmas Season, he would come home loaded with gifts from many who appreciated him for his kindness and great customer service. Dad’s second job and hobby was cabinetry and wood work that he learned from his father who was a carpenter. Many nights after work he could be found in the garage building a set of kitchen cabinets for someone. Growing up we would hear his Craftman saw running until it was too dark to work and smell the scent of sawdust from fresh cut lumber. If we were lucky, we would accompany him to his many trips to the local lumber yards to buy wood for his projects. Alfredo and Helen have been long time parishioners of Santa Clara Chapel in El Rio where he served as a Lecturer, Usher and volunteered many hours to the annual Church Fiesta. He was also a 55 year member of the Oxnard Council Knight of Columbus, a Past Grand Knight and 4th Degree Member. Alfredo was also involved in the Oxnard-Ocotlan Sister City Program where he served as President. He enjoyed the many visits to Ocotlan, Jalisco, Mexico and the new friends he met. He also loved to barbeque and have family and friends over for dinner. Summers were spent taking us on family camping trips throughout California and visiting the National Parks. On Christmas Eve after eating our tamale dinner, we would gather around the piano with aunts, uncles and cousins and sing Christmas Carols. Dad truly enjoyed spending time with his grandchildren and great-grandchildren. Whether it be reading books to them, sleep overs, planting a garden, taking them to the circus or following them as they participated in their favorite sports, until he was no longer able to. Alfredo is survived by his loving wife of 65 years, Helen Prado Gonzalez, three daughters, Vivian Mireles (Robert), Veronica Gutierrez (Jim) and Virginia Gonzalez all who reside in Oxnard. He also leaves behind 4 grandchildren, 9 great-grandchildren and one on the way, a brother Alfonso Gonzalez from Newbury Park, and many other family members. He is preceded in death by his parents, Augustine and Anastasia Barrios Gonzalez, three brothers and four sisters. Dad would often tell us about how poor they were growing up, but he passed away rich with love from his family and many friends. He will be greatly missed by everyone. The Rosary will be held on Monday, April 22, 2019 at 9:30 a.m. at Santa Clara Chapel, 1333 Ventura Blvd, Oxnard, CA, and Mass will follow immediately. Burial to follow at Santa Clara Cemetery, 2370 North H St, Oxnard. The family would like to thank Assisted Hospice Care, his Nurse Shari and Home Health Aide Gonzalo for the wonderful care and compassion they gave to our Dad, along with all the family and friends who stopped by to visit and help us with his care. 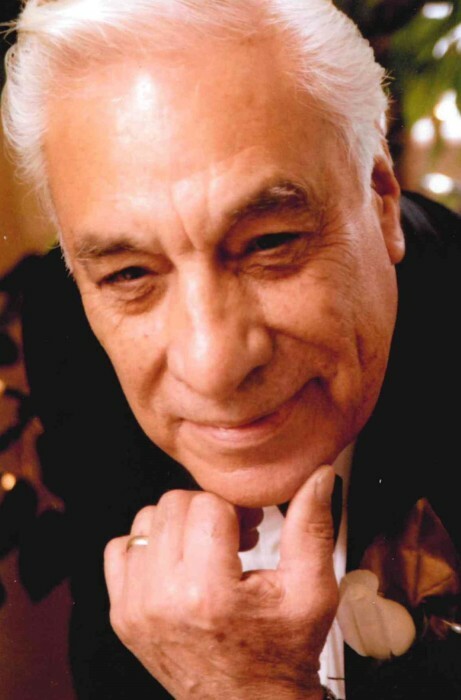 Alfredo has been entrusted to the care of the Reardon Funeral Home, 511 North A Street, Oxnard.